In the cold, dark days of winter, the chirps of neighborhood birds seem to be heard more sparingly, and it can be easy to forget Seattle is brimming with wildlife through the end of winter and into early spring. Birders know this all too well, as members of the Seattle Audubon Society (SAS) make good use of the winter months, enjoying the resident flocks right here in our own backyard. The Seattle Audubon Society was founded in 1916. Its mission is to conserve habitat for birds and other wildlife through education, community involvement, funding and advocacy. 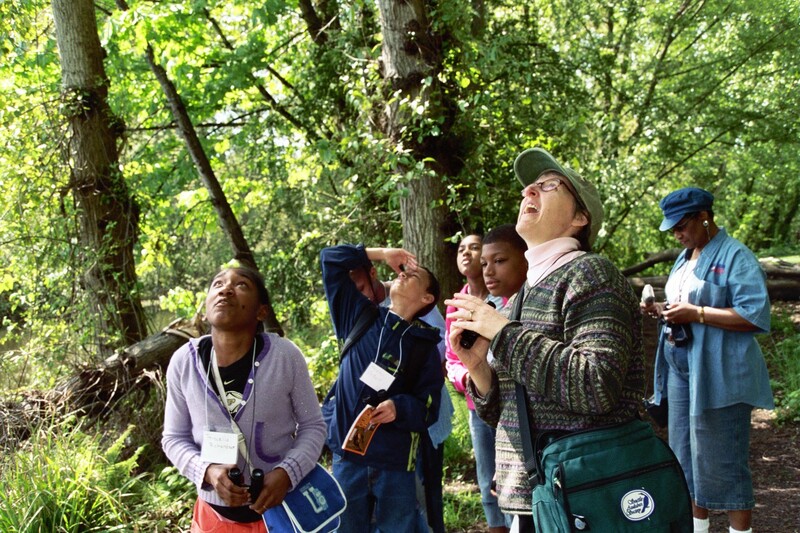 The organization hosts birding trips for small groups and neighborhood walks open to the public, as well as classes for children from elementary age through high school. SAS communications coordinator Jennifer Leach explained that members enjoy and appreciate birds, and they work to foster that connection to nature through conservation and bird habitat protection. This winter, Seattle birders participated in the Christmas Bird Count (CBC). The event takes place on the last Saturday of December, and participants walk within a 15-mile radius from Downtown Seattle in search of birds. An experienced birder leads birdwatchers of all experience levels. This year, 186 participants volunteered their time; roughly 48,000 birds were identified representing 126 species in Seattle. SAS recently announced that the population of Anna’s hummingbirds, seen in high numbers in this year’s CBC, has increased more than 700 percent in 15 years. “It’s likely that more and more people have learned that hummingbirds can be fed through the winter, and so a lot more people leave feeders out all year now — this alone may account for the great increase,” explained ornithologist Dennis Paulson, working with SAS. The CBC is an example of citizen science, initiatives where volunteers from our community participate in the documentation of wildlife and the natural world. The information collected is used by SAS and by policy makers to help shape future decisions on city planning and habitat conservation. Additionally, the CBC data is provided to the National Audubon Society to be added to a nationwide database. If you missed the CBC, SAS hosts other citizen-science programs. The Neighborhood Bird Project is an ongoing survey in which volunteers record monthly sightings of birds in Seattle neighborhood parks. There are currently seven regularly counted parks, from Seward Park in Southeast Seattle to Carkeek Park and Magnuson Park. The goal of the Neighborhood Bird Project is to maintain an accurate understanding of species diversity in our area and to “[empower] citizens to advocate for wildlife habitat,” according to SAS. The Puget Sound Seabird Survey (PSSS), another SAS citizen-science initiative, is a multi-month survey of shorebirds. The information collected helps inform decision makers in the event of an oil spill in Puget Sound that could greatly impact birds in our region. Nestled in the heart of Seattle’s Wedgewood neighborhood, the SAS runs a birding supply store called The Nature Shop that sells bird-inspired gifts like jewelry and cards. The store boasts that it is “where the profits are for the birds” and, indeed, the store proceeds support initiatives at SAS. Seattle resident Rachel Lawson serves as a volunteer at The Nature Shop, where she helps patrons find birding supplies like bird books and bird feeders. She also advises the public on how to create a bird-friendly yard by keeping cats indoors and planting native plants for the birds to feed. In addition to her duties in The Nature Shop, Lawson serves on the SAS board of directors and leads birding field trips. She said that although she has been active in several other birding organizations, she appreciates volunteering for the SAS because they serve as an environmental advocacy organization to protect bird habitat. Lawson also studied to achieve the title of master birder. She explained that volunteers can take master birding classes through SAS, and in turn, SAS gains a knowledgeable army of birding specialists to run classes and be field guides. Although the SAS offers a diverse set of programs year-round, this coming May is its annual Birdathon. This affair is a fundraiser and a competitive birding event. Bird watchers challenge themselves and compete against other birders to find as many birds as possible and obtain pledges from friends, family and neighbors for each of their bird sightings. To participate, start by finding sponsors and then sign up for one of many SAS field trips, or go birding on your own. Check the SAS website (www.seattleaudubon.org) for more information this spring. In my North Seattle neighborhood, local birds remind us daily that nature is still close by, even within our city limits. 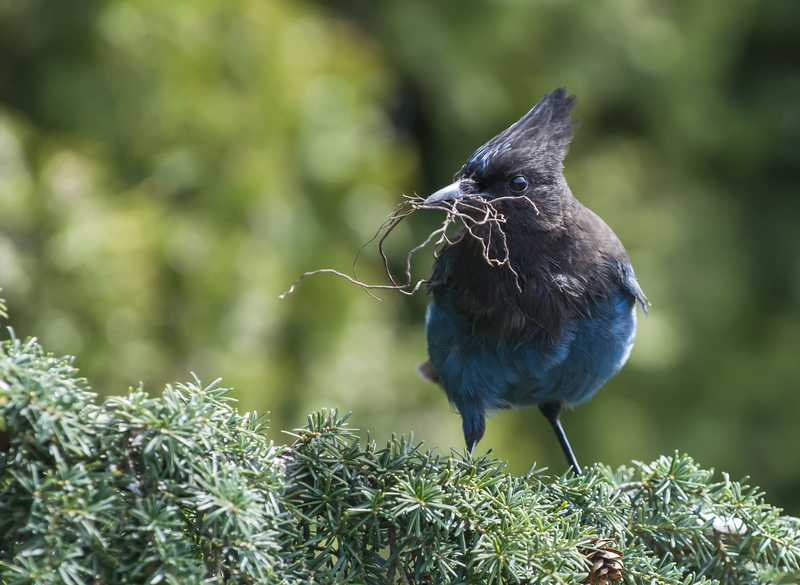 From Steller’s Jays that chastise my dog as they perch on our roof, to the Anna’s hummingbirds that visit my neighbor’s bird feeder, our neighborhood would not feel quite like home without the wild birds.